1. I did a course last year, what course should I do this year? 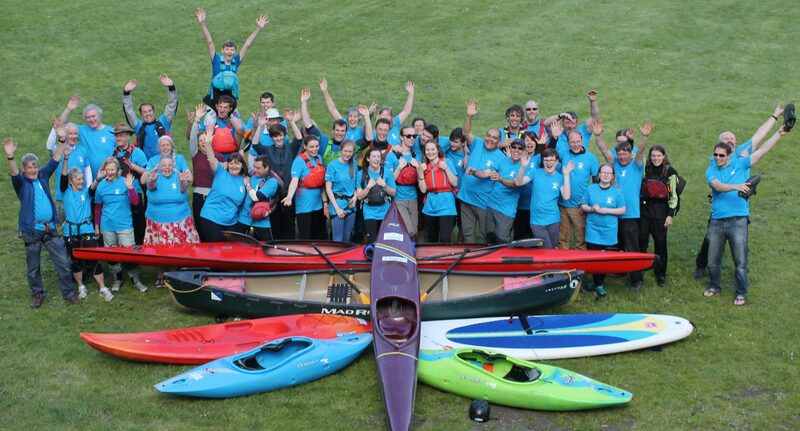 It is worth remembering that if you are a two star Kayaker, then you may need to join a beginners group if you are starting canoeing for the first time (and visa versa). 2. How can I find out more details about is involved in the Personal Performance Awards? 3. What about having an Assessment? Previously, the Star Awards were assessed by your coach either at the end of your course or on a separate date. British Canoeing are moving away from having a formal assessment towards a more individual paddler development approach. Your coach will be able to issue a pass to paddlers who have reached an appropriate level of paddling competency. This may mean being able to demonstrate certain skills effectively and also to have gained sufficient general paddling knowledge about equipment and the environment. Coaches may run through the skills in the syllabus with you, but there is no formal examination to feel nervous about. 5. I’m on the wrong course and wish to change, how do I do this? Some paddlers realise that they would be better moving to another discipline or even to either an easier or harder level. We are usually able to accommodate appropriate changes during the courses. 6. Do I need to have personal insurance? The Charity holds Public Liability Insurance. Participants’ own equipment, loss or personal injury is not insured at any time..
7. Do I need to book and pay online? The online WebCollect booking and payment system that is linked to our website is our preferred method payment. If however, you do not wish to use this system you should email the course leader to discuss the options available and to ensure that a place is held for you. 8. I have special needs, will this affect me? Paddlers with additional needs are welcomed onto our courses. Obviously the level of assistance required needs to discussed prior to booking on the course to make sure that we have the necessary facilities and voluntary staff available to work with you. In the past we have worked with a number of disabilities including partial sighted paddlers. Should you be unable to cope with the session we would discuss alternative arrangements with you. 9. Do I need to shower or wash after the activity? The River Thames water quality whilst good is not absolutely clean and it is recommended that you shower after every canoeing activity and before eating any food. Any minor cuts should be covered and re-cleaned afterwards. If you have more significant injuries you may need to consider avoiding getting them wet to avoid any infections taking place. If you find yourself suffering from flu like symptoms with sickness we suggest you contact your Doctor and say you have been in the river and mention Weil’s Disease. 10. What should I wear to take part in canoeing and will I get wet? Leggings / trousers (not cotton jean or shell suit type materials) with optionally a wind proof waterproof over trousers for warmth. Think can I swim in what I am wearing …you will however, be wearing a buoyancy aid at all times. Plastic bag suitable for initially placing your dry clothes and towel in and then any wet clothes for returning home. 11. Should I be able to swim and if so how far? For the Basic 1 Star Award the guidelines are you should be water confident and ideally be able to swim (but not essential). For the 2 Star Award you should be able to swim 25m wearing a buoyancy aid. Courses including the Foundation Safety and Rescue course states that you should be able to swim in normal paddling clothing for the prevailing conditions. 12. I wish to use my own equipment including canoe, is this okay? Speak to the course leader and describe what you wish to use. If the equipment is not of the required standard we reserve the right not to allow it to be used. In the majority of instances this is not an issue, especially with newer and well maintained equipment, including clothing, canoes, spray decks and paddles. 13. If there are only a few booked on the course will it get cancelled? Some courses require a minimum number of paddlers to be able to run. If the numbers are too low then an alternative course will be offered and/or a refund provided. Generally, courses can be adequately adapted to cope with mixed ability so we are confident that this should not be an issue for you. 14. What if the course I want is already fully booked? If the course you would like is fully booked please contact the course leader and register your interest. You may need to wait until the next block of Summer courses (2 blocks x 6 week + 1 block x 7 week) or it may be possible to find vacancies on an alternative evening. 15. I wish to cancel my booking what do I need to do? In the first instance speak to the course leader who will try to offer you an alternative date or course. If this is not possible then they will give you the details of our treasurer and arrangements can be made. The terms and conditions of your booking provide further details on the fee that may be charged (click here). 16. What time should I arrive for my course? It is recommended that on the first evening of the course you arrive 15 minutes before the start to allow time for your payment to be checked, medical forms reviewed and to change into your activity gear. On subsequent weeks this can be reduced once you are familiar with the booking-in process. 17. I understand that everyone needs to complete a medical form, how do I get one? Everyone is required to submit a completed and signed medical form that can be obtained from the website (click here). If you are under 18 years of age your parent / guardian is required to sign the form. 18. I wish to take part in some trips, how can I find out about when they are? A range of trips are run throughout the year and are listed on our website homepage and calendar (click here) as well as on our Facebook page (click here). 19. I have heard about the Trips Planning Meetings what happens at these meetings? 20. Who is the Charities Welfare Officer and how do I contact them? Should you need to contact the Charities Welfare officer this can be done one, via the course leader, two by emailing the welfare officer welfare@adventuredolphin.co.uk or three, by calling 0118 440 3038. 21. Who will be running my courses? Each course will be run by a qualified British Canoeing Coach who has DBS clearance. Currently all our coaches, instructors and administrators are volunteers. 22. Can I go along to Sunday Morning paddling as a non-member? 23. Why do I need a membership card? To help distinguish who are members from non-members of the Charity membership cards are issued by the membership secretary. If you have not received your card please email: membership@adventuredolphin.co.uk asking for your card. You should bring your card to every Charity event.